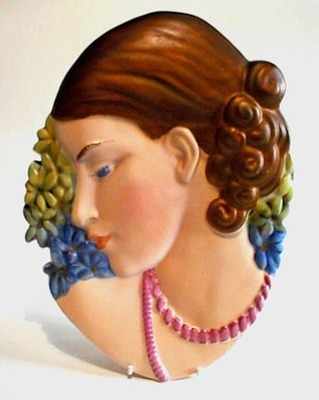 A large "Lady with Pearls" Wall Plaque by Beswick. Excellent condition with no chips, hairlines or paint loss. 11.5 inches high. "Beswick Ware Made in England" backstamp and also impressed #436. PRICE £395.